Today we introduce you to Ron Torres, a member of CAKE’s Customer Support Team based out of the Newport Beach office. Ron began his CAKE career a little over 3 years ago and is currently the Director of our Global Support and Information Technology teams. He studied at the University of California, San Diego and majored in Psychology and further has a Masters of Science degree in Counseling. 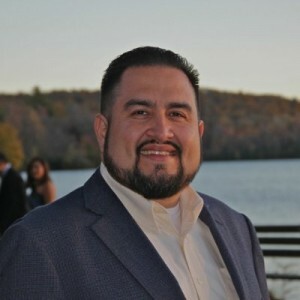 Ron has leveraged his Masters in Counseling in his current role, which allows him to deliver the best service to his customers and connect with them on a personal level. He has a strong passion for ensuring that his team delivers great service for CAKE’s clients and over the course of his business career, he adopted the mantra that “great service is the only truly sustainable competitive advantage.” Ron invests a significant amount of time and effort into mentoring his team members to help them reach their full potential. -Develop and refresh the internal wiki for Support Agents to help foster better communication and to improve overall resourcefulness by 40%. -Help define and update professional services documentation. -Analyze support metrics to implement a support strategy that efficiently optimizes client to agent workflow by 70%. -Develop the interdepartmental escalation procedure that has improved overall internal communication. This process involves providing the necessary information to our development team to provide quick and effective bug fixes and client feature requests. -Develop new employee training programs for Technical Support Analysts. -Plan, design, negotiate and implement new cloud-based Interactive Voice Response (IVR) for Client Services. -Helped build the Client Support Team from 3 people based in the United States to 8 representatives globally. If I could emphasize anything it would be that we are always here for our clients no matter what time of day! It is my personal goal to ensure that every customer is satisfied with our support so my tip would be for our customers to take advantage of this opportunity. We can deep dive into your account and not only troubleshoot issues but also help you discover ways to better optimize your marketing campaigns, improve ROI and eliminate inefficiencies. I love watching football, playing a good game of paint ball and enjoy spending time with my 4 year old son, especially as he is about to achieve his next belt in Mixed Martial Arts. Water, sun-screen and companionship. Everything else is simple. For the past two years, I have commuted from San Diego to Newport Beach, which is equivalent to a 1 hour and 40 minute drive ONE WAY! It just goes to show how much I love working at CAKE.